It all started with a pizza craving. Gooey cheese, fattening meats, naughty for you crust..mmmmm. But I digress. I wanted pizza and I was going to have it (and have it healthy). 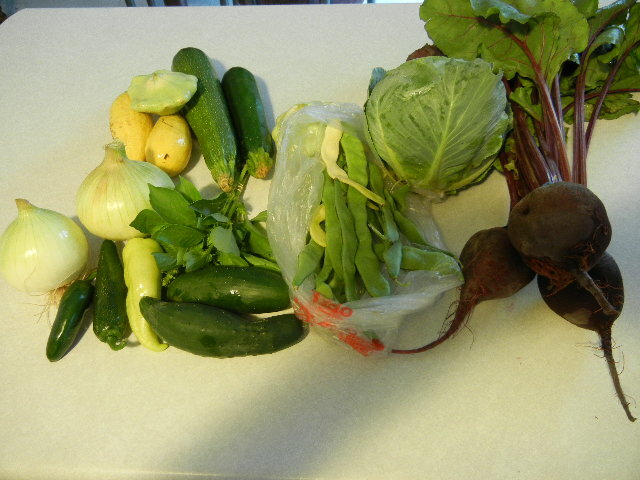 In my CSA box this week was some basil and some summer squash. I had a left over tomato from the prior week’s box. I decided to forgo the traditional tomato sauce and use part-skim ricotta and the fresh basil. I loaded it up with veggies, and sliced apple chicken sausages and topped with a very light sprinkle of grated parmesan cheese. What I got was nothing less than amazing. The ricotta was so creamy and when you got a bite of the fresh basil..Heaven (seriously). The veggies were beautifully crisp and fresh. The produce from Highcross Farm is so gorgeous and so delicious, I really feel spoiled being a CSA member. Preheat oven to 450. Shape pizza dough on a greased cookie sheet according to package instructions. Bake for 10 mins. You want the edges to be at the point where they are just starting to turn brown. Pre-baking your crust will prevent it from getting soggy from the vegetables. Take out of the oven, but leave the oven still on. 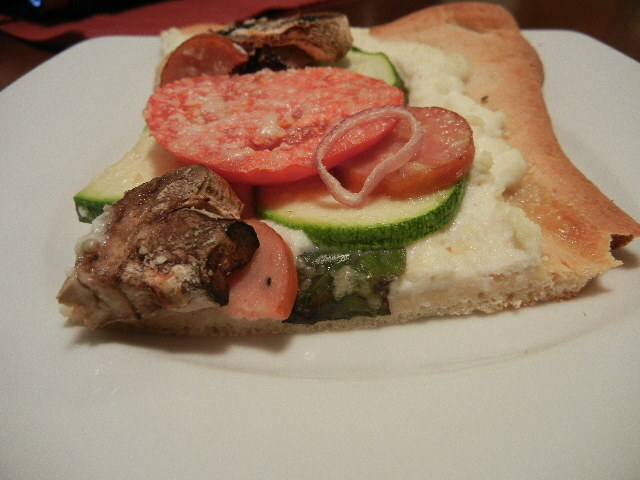 Spread ricotta cheese over the crust and sprinkle whole basil leaves over the ricotta. Sprinkle with garlic powder. Layer your vegetables and sausage anyway you wish. Sprinkle with grated parmesan and bake until the mushrooms and zucchini have just about to soften and the sausage is heated through. For me it took about 15 or so minutes. Keep an eye on it. If you feel your crust is getting too dark before your pizza is done, cover it with pieces of tin foil. I enjoyed mine on my deck with a nice glass of wine. I love summer. There is nothing like late night TV, chips and salsa. I have made salsa time and time again. I love it. It’s easy, it keeps well in the refrigerator and it’s healthy. This time around I decided to roast 1/2 the tomatoes and 1 pepper I had gotten in my CSA box. Roasting the veggies gave the salsa a nice rich depth and a nice sweetness to the salsa. My family loved it. 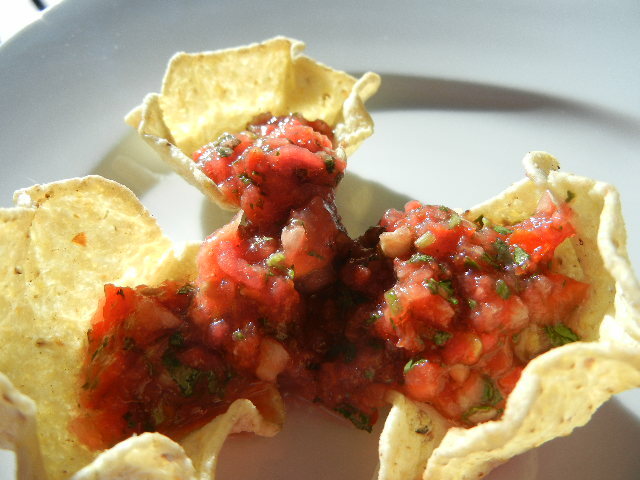 I love making salsa because there are no measurements. Throw it all into a food processor and go. If you have never roasted veggies before it’s easy. Just put your veg on the bottom of a shallow roasting pan and drizzle with olive oil. Roast in a 400 degree oven until soft and the skins are a little dark. Let cool completely. It’s up to you if you want to leave the seeds of the pepper in the salsa or take them out. We like our a little on the hot side. Throw the cooled veg into a food processor with the rest of the ingredients and pulse until well blended. Store in an airtight container. 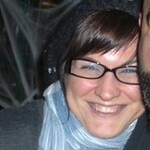 Enjoy whenever. Jeff and I like ours on the couch while watching Storage Wars. haha. Yes, you read that right. Beet donuts. A friend of mine send me a recipe and encouraged me to try it if I should happen to get beets in my next CSA box. In my box were three beautiful red beets just waiting to be turned into donuts. One word for these donuts. Fabulous! The beet taste is very subtle and perfectly sweet (but not too sweet). This batter is meant to be baked not fried. 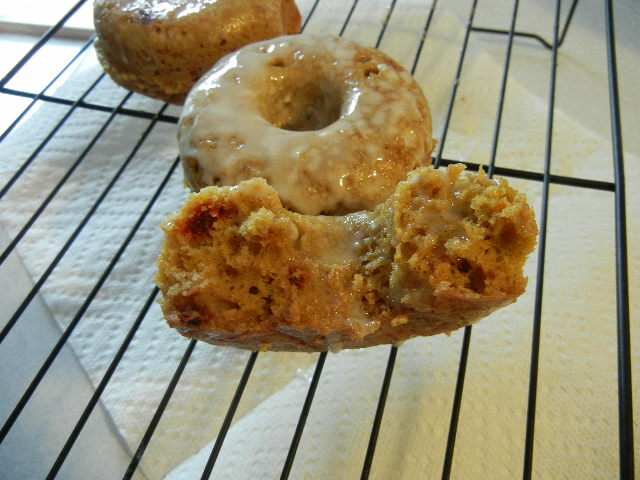 If you do not have a doughnut pan, scoop the batter into muffin tins. They truly came out beautiful. Not as red as I would have liked, but when you break one in half you see awesome speckles of beet bits. Gorgeous. Preheat oven to 350. Lightly grease your doughnut pan (or muffin tin). In a food processor or blender pulse your beets until you come close to a puree. I left mine on the chunkier side, hence the lack of red color. Add milk to beets and whisk together. This will not be a uniform consistency so don’t be alarmed. Add beet mixture to flour mixture with the oil and vanilla. Mix until well blended. 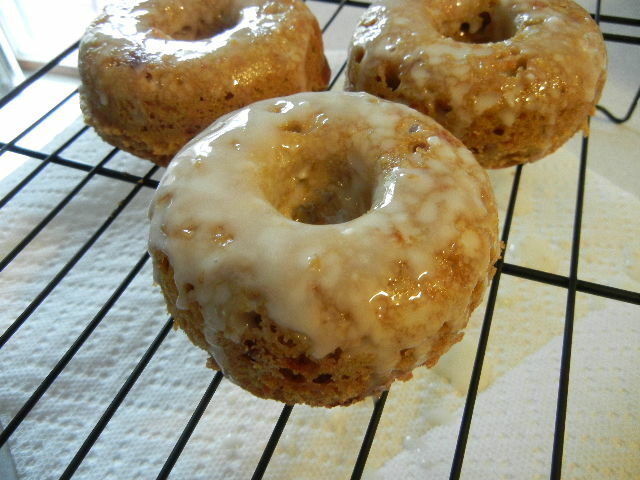 Scoop batter into doughnut pan or muffin tin. Make sure you don’t come all the way to the top (especially with the doughnut pan). 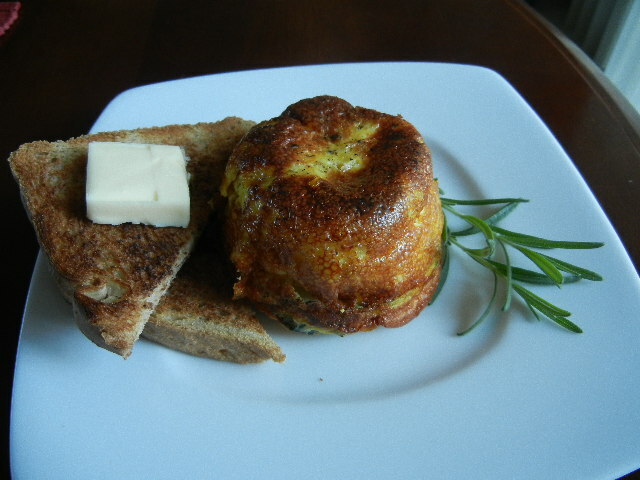 Your batter will over flow when it rises. Bake 11-15 minutes or until a knife inserted comes out clean. Let cool on a wire wrack completely. See what I mean about beautiful beet flecks in the doughnut? Love it. Slowly add milk to powdered sugar until you get the consistency you want. I like my glaze on the thin-ish side so it can melt into the doughnut. Dip the top of your doughnut into the glaze and let set on a wire rack. I would suggest putting paper towel under your wrack so your counter isn’t covered in glaze. 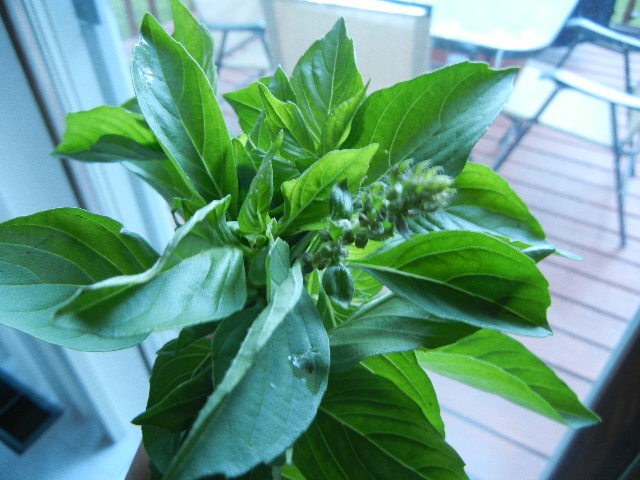 When I peeked into my CSA box at the drop off site, the smell of the lemon basil hit me with full force. Man, I love lemon basil. On the way home I was brainstorming on what I could do with it (Yes! I actually have time for dinner tonight! woot!). At first I was thinking lemon basil infused lemonade (Which I still might make this weekend). The rumbles in my belly told me I was more hungry than thirsty, so I thought some more. Then I remembered I had a small container of greek yogurt and a couple of lemons in my refrigerator…DING! 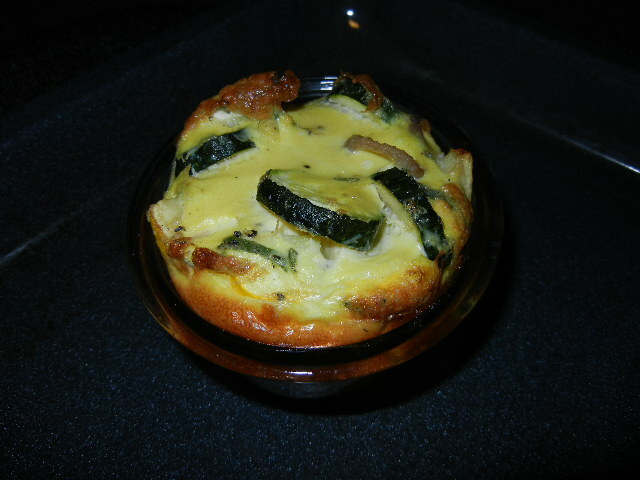 What I came up with was a wonderful summer dish. Very light and very lemony. I love it and I hope you do too. Look how gorgeous this basil is! I rushed home, opened my box, took a picture for you fine folks and got right to cooking. Cook and drain your pasta according to package directions (saving some of the cooking water). Add lemon sauce to pasta and mix thoroughly. This will thicken up so loosen with a little bit of the pasta water ( I did it by ladle fulls). 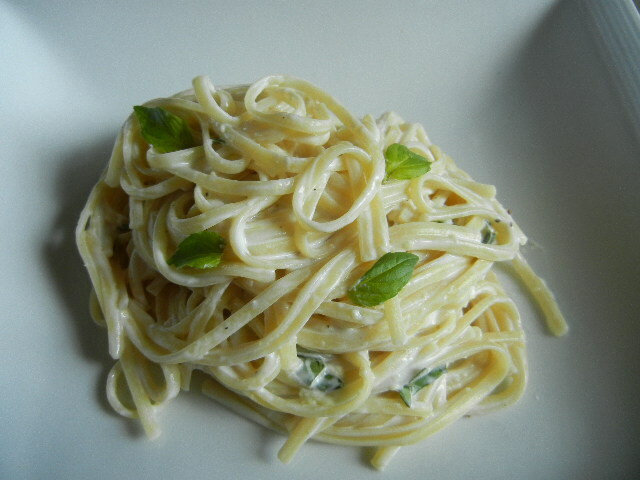 Garnish with some whole lemon basil leaves and enjoy.